In earthshattering news, it seems people really like playing silly little games on the internet. 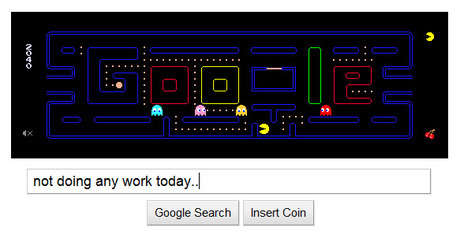 That PacMan game Google uploaded on the home page last Friday was such a hit that Google have made it a permanent web page. Well there’s the rest of this week’s work gone. We just lost Gene Hunt on Friday, and lo, this morning, the 80s are back. Pub?